How Can A Teacher Motivate Adult Students To Learn English? Of course learning English with adults persons is a bit different than with children, who love playing a lot of games. They learn a lot during activities, which they like the most. In case of adults the best way is getting know, which part of words they need for example at work. It could be vocabulary connected with business or law. Also some conversations can be interesting like those, which are helpful on trips, in restaurants, in shops etc. 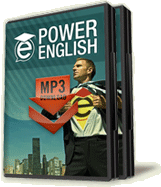 Click here to learn more about Power English lessons! Another way is making some groups with different hobbies. Some people love music and they want to get to know lyrics of their favourite bands, other like films and for them the most interesting are subtitles or another group likes travels and they want to know something about countries in English. Everything depends on immersion in preparing of teacher for example songs, short pieces of films, lists with vocabulary or other materials. It is also good way to meet new people, become more self-confident and open. I am a teacher and I always try to ensure the students enjoy the English skype classes. If you are tired and overworked that's going to be detrimental to this goal. Only a teacher knows all the ways through which they can teach their students and its an Objective of a teacher that they will motivate their students to learn more and more. Thanks for sharing it.